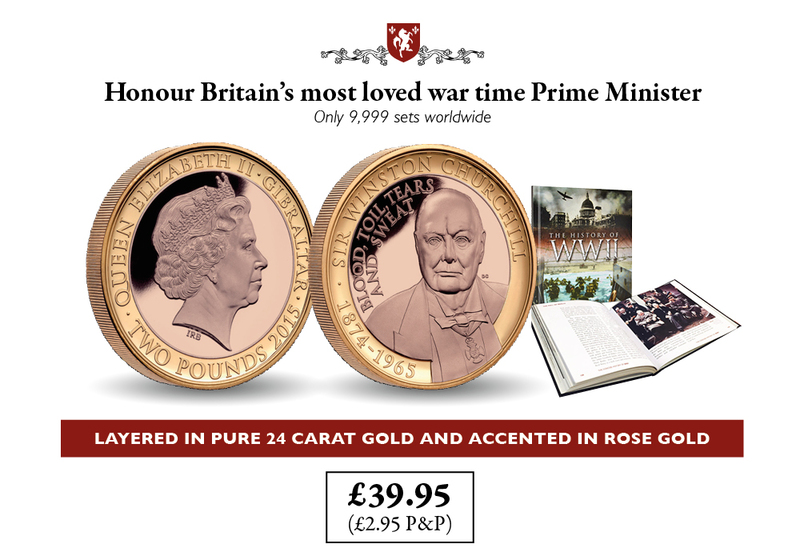 Purchase your Sir Winston Churchill ‘Blood, Toil, Tears and Sweat’ £2 Coin today for £39.95 (plus £2.95 P+P) and the first 100 customers will also receive the WWI book for FREE (usually £19.95). Rest assured that you have no further commitments and your purchase if protected by The London Mint Office 14 day “no quibble” return guarantee. You have no further commitments.